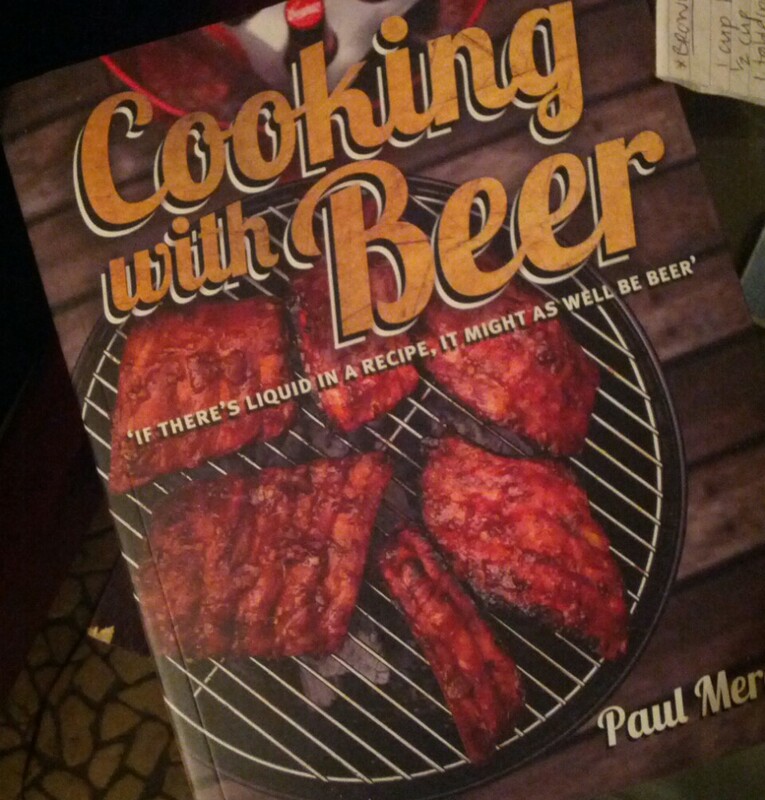 More cooking from Paul Mecurio’s Cooking with Beer book but this time it wasn’t just for myself and my partner but also for his parents. I’ve never tried cooking this dish before. 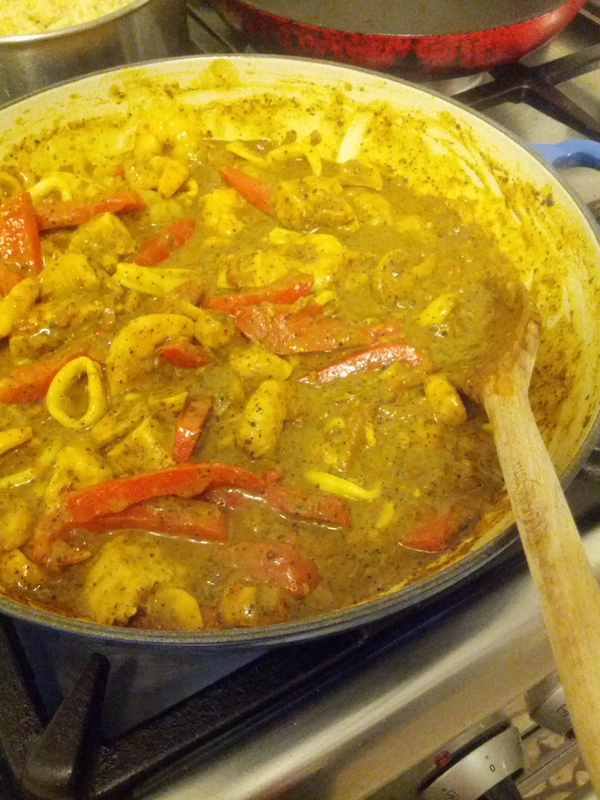 The first and only time I tried cooking a fish curry was so long ago I can’t remember whether it was good or bad. I figure if I can’t remember, it couldn’t have been very good. The ingredients list was 23 items long. I’ll cut the suspense and state right now that the dish turned out to be freakin’ amazing. 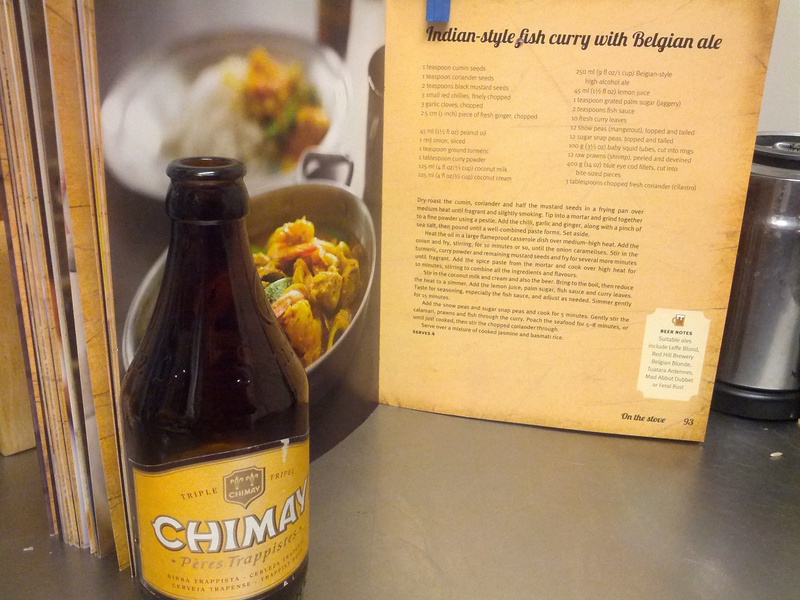 One of the ingredients in this dish is, clearly, beer – more specifically a Belgian-style high-alcohol ale. I went to Dan Murphy’s in search of something suitable and came home with Chimay Triple. 8% abv, rich sweetness, fruity and with a good bitter finish. The Chimay beers remind me of The Belgian Beer Cafe Westende, one of my first jobs as a bartender and where I was first introduced to the big wide world of beer. If you check out the Chimay website you’ll see the words “Chimay, the Art of beer and cheese” … two of my favourite things! Chimay is one of only 18 authentic Trappist monasteries in the world where the monks and nuns live by the motto “ora et labora (prayer and work) so basically when they’re not praying they are working hard to produce, amongst other things, amazing beer. For more information on Trappist beers, here is a great website. The beer is rich and complicated with lots going on and with an ingredients list of over 20, the curry is much the same. It’s full of spices like cumin, mustard seeds, curry leaves and turmeric and also uses garlic, ginger, and coriander to ensure there is plenty of flavour. When you throw in a cup of Chimay Triple it’s hard to say whether you can taste the difference with SO much going on. 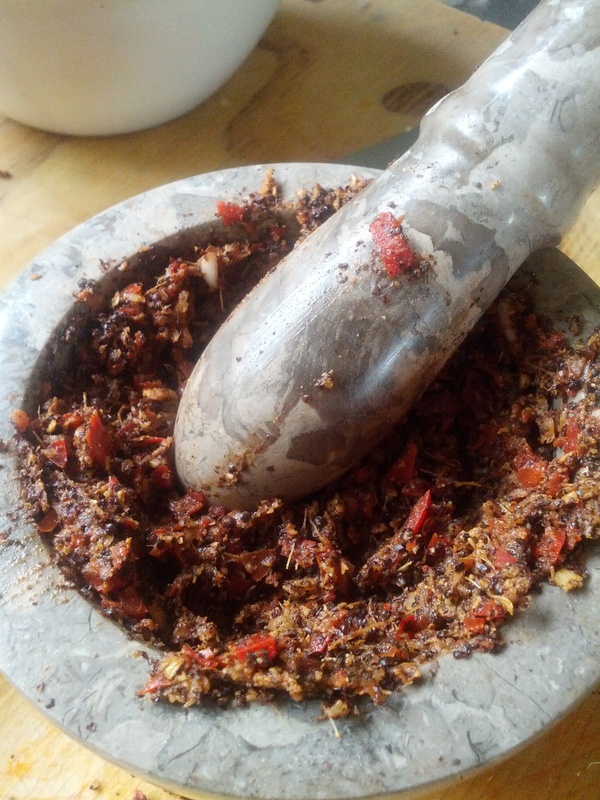 I guess you’d have to make the dish twice – one with and one without the beer – but I have to be honest, that’s a lot of mortar and pestle work thats enough to make my hand cramp just thinking about it. I’m happy enough with the outcome that the recipe was fun to make (though it does need some time and love) and tasted great. You’ll work up a sweat making this paste!